iOS 9.1 is out in the wild, but for some people it seems to be doing more damage than good. 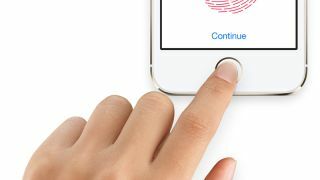 People are complaining that the new software update means TouchID is forgetting their fingerprint or that the sensor has become very delayed. Apple's support forums are full of people claiming issues on a lot of devices including the iPhone 5, iPhone 5S, iPhone 6, iPhone 6S, iPhone 6S Plus and the iPad Air 2. People have been raising the issue on Reddit as well. DaedraCross said TouchID "only works about 15% of the time and takes around 7 seconds to unlock, if it actually recognises my fingerprint." Iamthebchang has just bought an iPhone 6S and, after updating it to iOS 9.1, shared on Reddit that "it's like sensor was dead. Only way to open the phone was to use passcode." No one with an iPhone on the techradar team has experienced the problem yet, but there are enough reports of it happening to convince us that it's a real problem. If you're experiencing the issue yourself, you'll just have to wait on a fix. We've contacted Apple to see if it's aware of the problem, and what it might be planning to do about it.